Adding to it’s best factory win in 2007 at The Manufacturer awards and The Shingo bronze medallion in 2009, Ultraframe have again been successful in 2010. 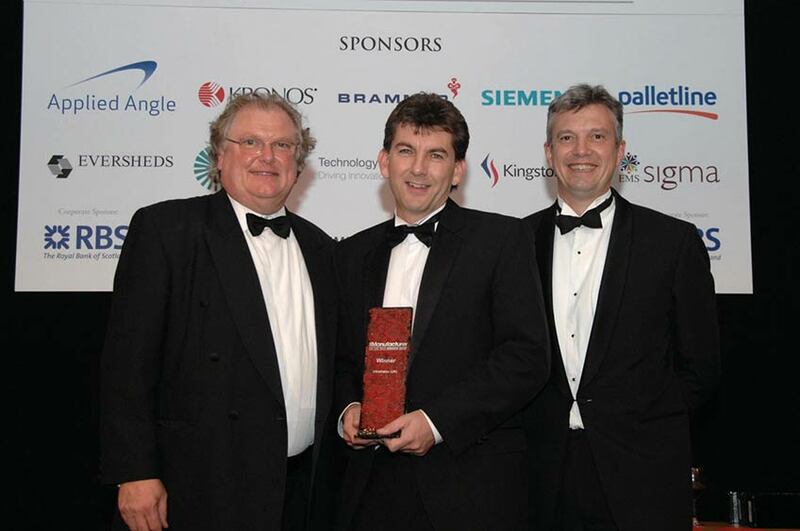 The company won the Financial Management award in The Manufacturer magazine’s 2010 industry ‘Oscars’. Founded over ten years ago, The Manufacturer awards programme - which consists of eleven categories - is well established as a major celebration of the successes of UK manufacturing - winners in previous years have included Seven Seas, Unilever, Sheffield Forgemasters, Ginsters and Hozelock. These annual awards are specifically designed to recognise and reward excellence achieved in all sectors of industry and highlight the diversity and strength of UK manufacturing. The awards programme aims to provide a unique opportunity for any business to demonstrate that they are resourceful, innovative and one step ahead of the competition. Those entering were required to initially submit a one page summary, together with supporting evidence, explaining why the entry qualifies to win. This was scored against key criteria by a panel of judges. Successful companies within their category were then invited to meet and engage with each of the category judges at the Williams F1 Conference Centre for the second round of the competition on the 19th October. The format of the day began with a presentation by the shortlisted company, followed by questions from a judging panel that included leading manufacturers, previous award winners, practitioners and leading academics. Those attending the Judging Day also had the opportunity to tour the impressive Williams F1 centre. Winners of the eleven categories at The Manufacturer of the Year Awards 2010 were announced at a Gala Dinner and Awards Ceremony held at Chesford Grange, Kenilworth, Warwickshire on 18th November 2010.